A new and unique kind of construction toy. 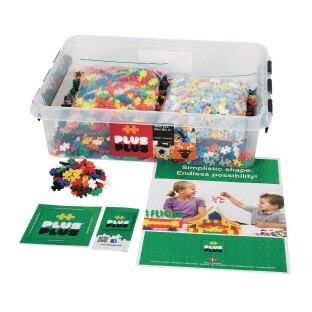 It’s 3,600 pieces in one simple shape that can be used to produce endless possibilities! Assemble them flat to create a 2-D mosaics or work in 3-D to make more complicated structures. A perfect addition to your MakerSpace supplies, even curves are possible thanks to the unique design of this deceptively simple shape! This amazing 3,600-piece basic pack comes with a mix of all Basic, Neon and Pastel colors (21 colors in all) and is packaged in a durable, re-closable storage tub. Pieces measure approx. 3/4” x 1/2”.